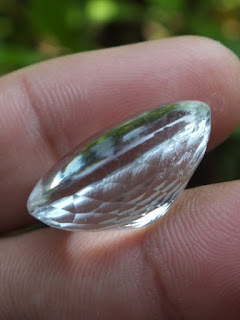 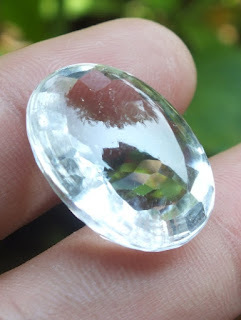 This is a very beautiful Natural Colorless Quartz loose stone. The cutting is perfect Buff-Top. 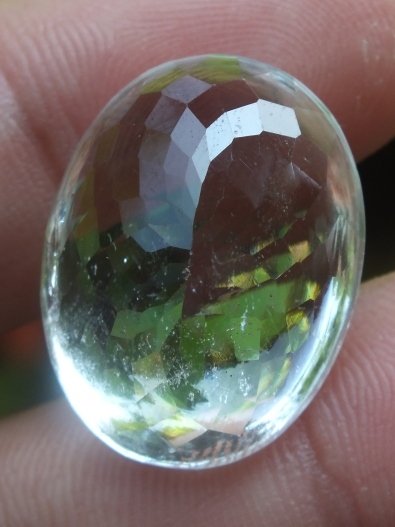 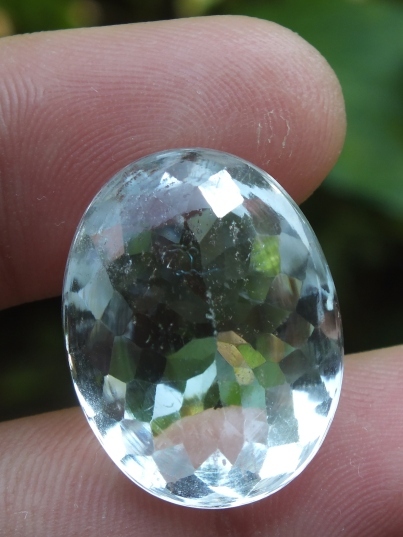 There are some inclusions inside, but still the gems is very lustrous. 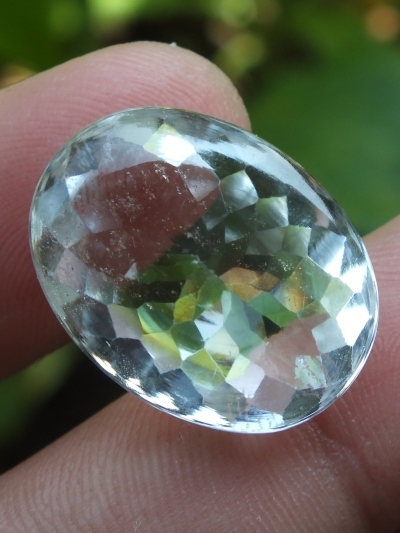 The dimension of the gems is 23,8mm x 18,1mm x 12,2mm, and weight; 30,9 carats. Get this lustrous natural Quartz now!